Many patients have been managed without ambulance conveyance to hospital. Nurses are part of an initiative that is helping patients to be treated closer to home rather than in emergency departments (EDs) when they call 999. 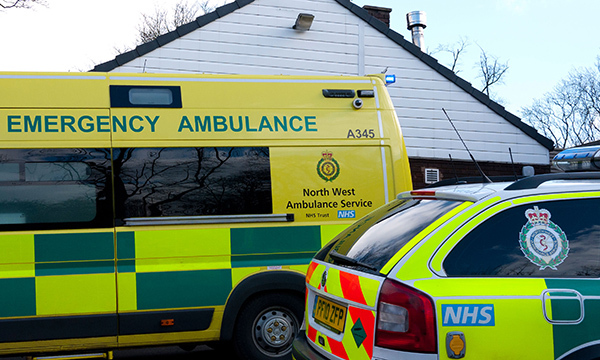 North West Ambulance Service NHS Trust is evaluating the progress of its six-month pilot scheme, which involves a team of urgent care practitioners made up of eight nurses and five paramedics, who work across Manchester, Liverpool and Chorley. The team rotates between working in an Emergency Operations Centre, where it offers secondary telephone triage in a similar way to how NHS 111 operates, and responding to selected 999 calls in a 'see and treat' vehicle. The team, which includes nurses who have moved from EDs in Manchester to work on the scheme, is seeing an average of five patients per ‘see and treat’ shift, and has responded to 1,191 patients to date. Mr Scholes, who is a registered nurse and paramedic, said: ‘Up to 70% of patients the team has attended as part of its “see and treat” work have been managed without ambulance conveyance to hospital. ‘This has included the patient being referred to another service such as primary care, being treated at scene or making their own way to an urgent care centre. In some cases it is identified that the patient needs to attend an ED, and we advise on appropriate arrangements. A review of ambulance services in England by Lord Carter of Coles, commissioned by NHS Improvement and published last week, states that the NHS could save £300 million a year by 2021 through avoiding unnecessary ambulance use.